CALL IT JEFFREY Katzenberg’s unicorn newborn. An operating company has come into being, ex nihilo, with the blandest of names—NewTV—and a valuation north of $1 billion. That’s something that has never happened before. Another thing that hasn’t happened before: the very first funding round for the company managed to reach the $1 billion mark. NewTV, then, is no scrappy startup. Rather, it is, from day one, an enormous privately-owned corporation, run by a deeply experienced CEO, Meg Whitman, who formerly ran eBay and Hewlett-Packard. And it’s probably going to fail. Even at this unprecedented and mind-boggling scale, NewTV is a minnow, and TV as an industry has proved itself, in an era of disruption, to be surprisingly robust and resilient. We live in an era where Netflix is eating the world, where kids and grown-ups alike can disappear down a YouTube rabbit hole for hours on end, where the amount of time we spend watching video on our phones only ever goes up rather than down. In that world, it’s easy to extrapolate to a time where old-fashioned television is dead, killed off by a slew of younger, nimbler disruptors. The reality, however, is that TV’s business model is secure, its revenues are gargantuan, and the barriers to enter its industry have never been higher. Netflix has vastly deeper pockets than NewTV. But even Netflix is going to find it incredibly difficult to replace TV altogether, for the simple reason that there’s simply too much money there. TV is, at heart, in the advertising business—advertisers spend some $70 billion a year on TV, while consumers spend only $10 billion or so paying for that TV through their cable bills. While ad dollars have fled print media, the TV ad-revenue stream has stayed astonishingly steady. Yes, all the advertising growth globally is in digital, mostly through Google and Facebook. Digital advertising has, finally, overtaken TV as the largest ad market. 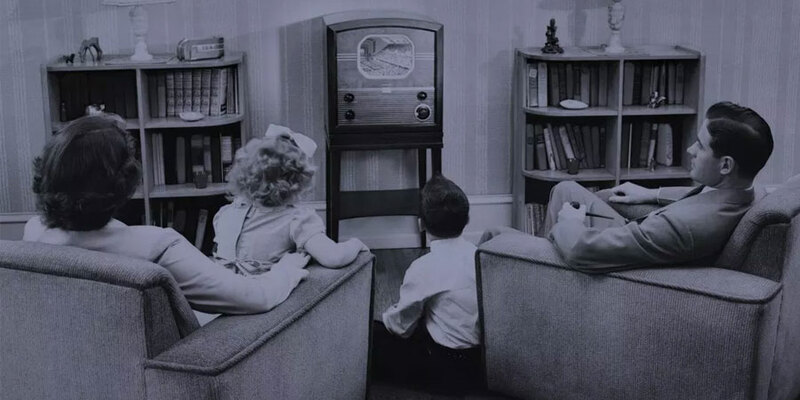 But there are good reasons why TV’s central position in America’s households is much more deeply rooted than the would-be digital usurpers like to believe. As Alexis Madrigal notes, Americans still watch a dizzying quantity of linear TV, and they don’t seem remotely unhappy with it. In the multi-trillion-dollar fight for America’s national attention, linear TV makes even Google and Facebook look like minnows. According to Nielsen, American adults spent 45 minutes a day on social networking, down slightly from six months earlier; they also spent 25 minutes a day watching video on their phones, tablets, and computers. By contrast, they spent 4 hours and 46 minutes a day watching TV, which was up 21 minutes per day from six months earlier. That explains why the stakes—and the barriers to entry—are so high. All of those advertising dollars flow to TV companies, who are not going to give it up without a massive fight. But even if ratings decline, TV remains the only realistic way for companies, especially if they make consumer packaged goods, to showcase their brands in front of the people who do America’s shopping. Soap operas are so called because they were originally sponsored by soap companies, and to this day, if you want to reinforce the brand values of a soap, the first place you’re going to turn is TV, because TV’s ability to build and maintain a brand is unrivaled. You can reach the same audience with the same message dozens or even hundreds of times; you can craft that message carefully and serve it up without accompanying distractions; you can take your time to tell a story over the course of 30 seconds, in a medium where 30 seconds is a short time rather than an eternity. While TV is excellent at burnishing the brand of a dishwashing powder, its would-be disruptors are dreadful at it; Netflix, for one, doesn’t have any advertising at all. That keeps the ad dollars in the old economy of linear TV, where they are recycled into the kind of glossy, expensive, compelling shows that have had no trouble surviving and even thriving in the new attention economy. As Netflix has discovered, it takes many billions of dollars to create content that can begin to compete with television. It’s eminently possible for an entire medium to lose the attention wars: We’ve already seen that happen with print. People spend much less time reading physical newspapers and magazines than they used to, with the result that those ad dollars ended up migrating to exciting new digital platforms. But TV is going to be much harder to kill than print was. A newspaper article in web-page form is faster, cheaper, and more convenient than in print form. TV doesn’t work that way: It’s a lean-back, experiential medium where people like to waste time. It’s not an information-delivery mechanism; it’s an entertainment format that has been perfected and optimized over many decades. Ultimately, the investment thesis behind NewTV is simple: TV is going to get disrupted, and die, and Katzenberg wants to position his company as being perfectly positioned to replace it. Practically speaking, that’s hard to do with a mere $1 billion, But there’s a theoretical problem with Katzenberg’s idea. In an industry ripe for disruption, customers flock from a high-quality, expensive legacy product to a much cheaper alternative. And in TV, the customers who count aren’t the viewers, they’re the advertisers. To have a chance of being able to disrupt one of the most entrenched industries in America, NewTV isn’t just going to have to attract millions of viewers of its short-form content, it’s also going to have to persuade consumer-facing brand advertisers that it has an equally effective, but cheaper, alternative to the 30-second linear TV spot. That’s very unlikely, just because no one in digital video commands remotely the kind of ad-supported attention that TV companies sell for billions of dollars. In a way, the problems with short-form digital video are the flip side of the built-in advantages of podcasting. In the context of a podcast, which can last well over 30 minutes and sometimes well over an hour, it’s fine to spend a few minutes on advertising. But if you want to watch a 5-minute video, you’re going to have no patience spending that much time with sponsors. 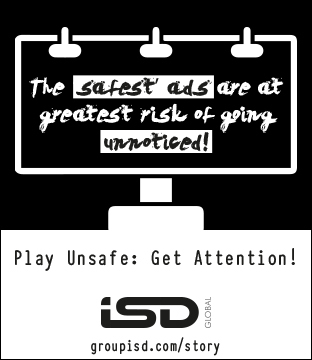 There will always be big money wherever advertisers can garner the greatest number of minutes of consumer attention. TV has cracked that code; its would-be disruptors aren’t even close. When it comes to making movies, Jeffrey Katzenberg is a formidable competitor. But if he’s trying to compete with TV by making digital shorts, the playing field is tilted against him. Sharply.